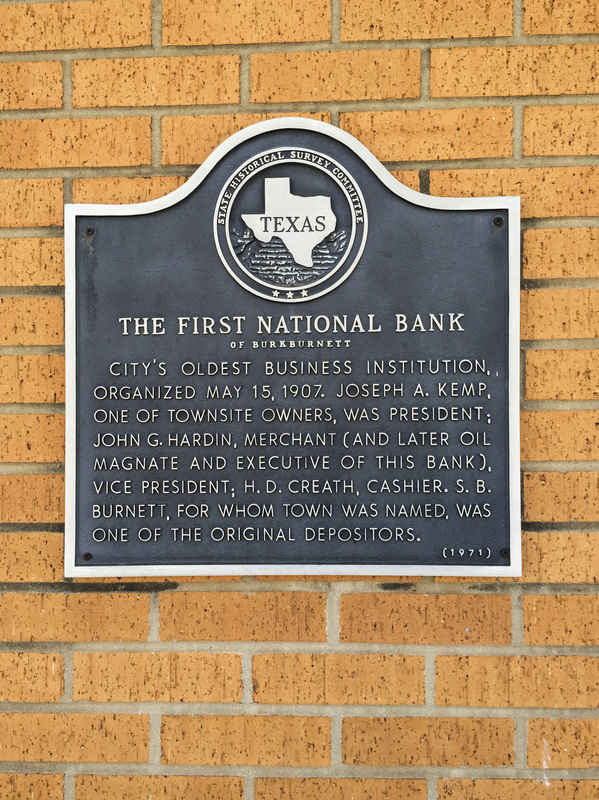 City's oldest business institution, organized May 15, 1907. Joseph A. Kemp, one of townsite owners, was president. John G. Hardin, merchant (and later oil magnate and executive of this bank), vice president. H. D. Creath, cashier. S. B. Burnett, for whom the town was named, was one of the original depositors. 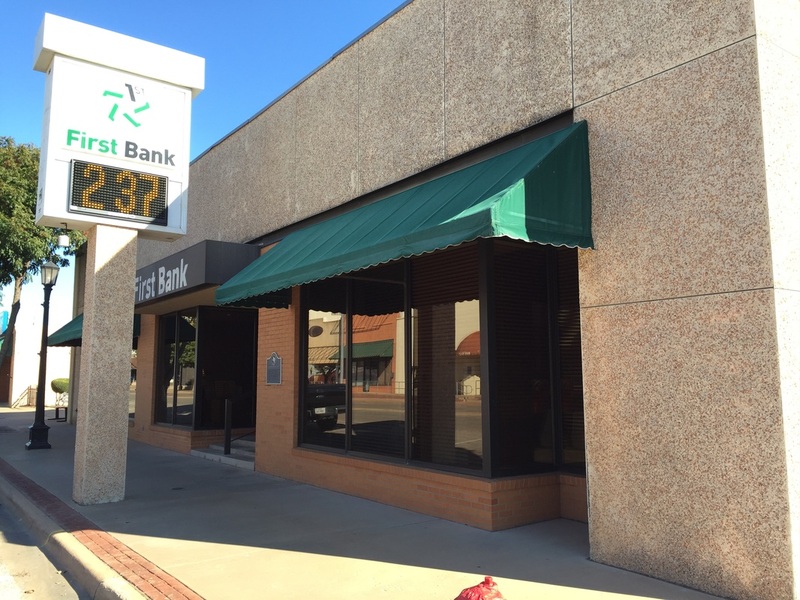 Located on Third Street and Avenue C, Burkburnett, Texas 76354. GPS 34-degrees 05' 51.9" -98-degrees 34' 18.6".